David started working at Syndeo as part of the company’s human resources department. Before joining the Syndeo team, he spent time in the recruitment and education industries. David says both industries helped him develop a solid foundation for working in human resources and fueled a desire to make that line of work a larger part of his career. He enjoys research and working with employees at all levels of an organization. 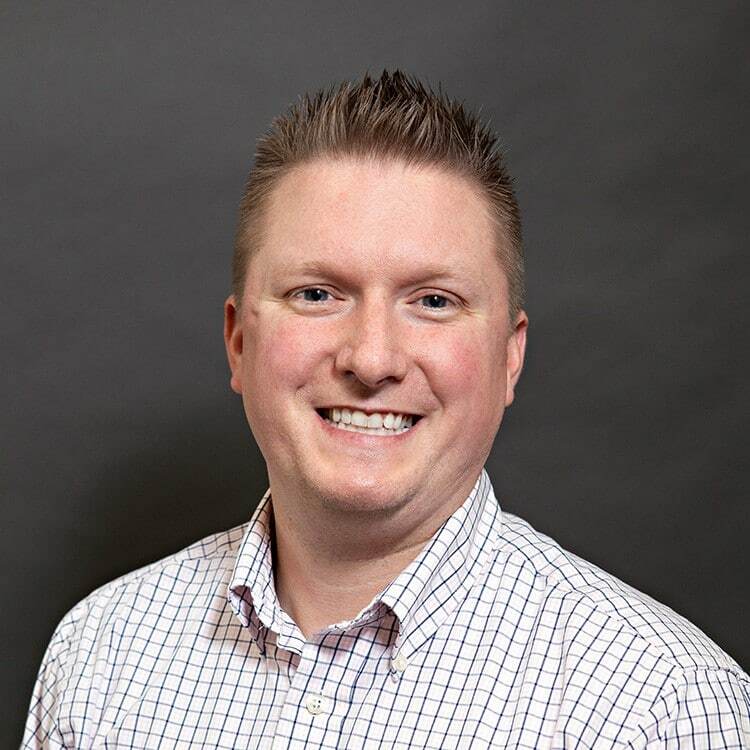 David has an associate’s degree from Cowley College, a bachelor’s degree in business administration from Wichita State University and a master’s degree in organizational leadership from Baker University. Outside of work, he enjoys reading, exercise, and spending time with his family, which includes his wife and two children, a daughter and a son. Family movie night is one of David’s favorite traditions. He considers himself “a bit of a movie buff,” and professes to have a low-budget horror film to his credit that he made with a few friends in college. And by low, he estimates the entire production cost about $20 — mainly to cover the cost of a VHS tape and some Black Cat fireworks for special effects. Seriously.